The product has satisfied my expectations and those of my daughter, good material, corresponding to the images on the site, I would recommend it. 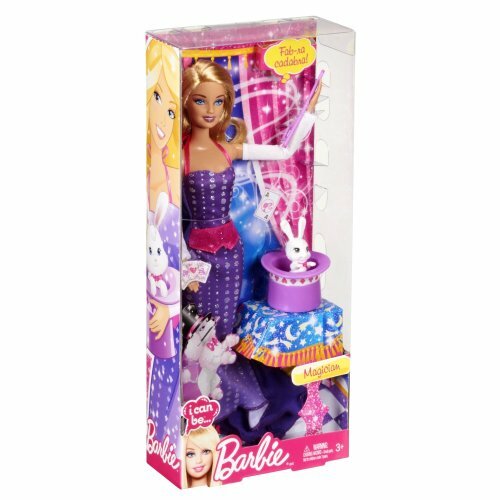 barbie super folding and delicious animals, my daughter has loved it. Perhaps the bottles are too old and you are likely to lose them, but overall very nice. Superb barbie accompanied by two cubs with bottle. Ideal for turning a game into magic. The advice. Great as a gift from the age of three. Superb. The excellent qualityprice ratio. The delivery took place on schedule. I recommend everyone to buy on this site already that is very reliable. Very pretty, with so many gadgets to play with and entertain their daughters, the advice for those who love Barbie and nature. happy with purchase, bought as a gift and has been much appreciated. The barbie is very well done and the accessories are very nice. Fantastic, excellent product, fast shipping, as recommended, beautiful beautiful beautiful beautiful beautiful beautiful beautiful beautiful beautiful. . .
this Barbie has a pretty face, a pair of dolls with bottle fitted, jointed arms and knees. Great success. I gave this rating because the product is perfect, the price and even better shipping She was on time if not well in advance. Arrived on time excellent packing is more beautiful than me spettavo and there is more choice of shops recommend it to everyone.